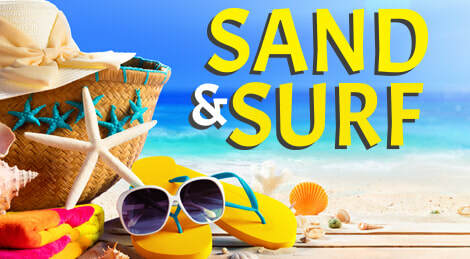 Welcome summer with music by the Beach Boys, Jimmy Buffett’s Margaritaville, Under The Sea from The Little Mermaid, and Latin favorites by Antonio Jobim including The Girl from Ipanema and One Note Samba. Guitarist David Temple will perform the solo for Concierto de Aranjuez by Joaquin Rodrigo. Classical guitarist and composer David Temple has performed throughout the country as a soloist, accompanist and ensemble player. He is dedicated to presenting guitar performances that are full of color and variety, and to making the concert experience as enjoyable for the newcomer as for the experienced listener. Concerts have included the Festival of the Arts at Mohonk, the Ulster Chamber Music Series, the Philadelphia Classical Guitar Society, the Center for Performing Arts at Rhinebeck, the Foothills Performing Arts Center in Oneonta, NY, and many others. A graduate of the music school at Eastern Michigan University, David is Artistic Director and Vice President of the Mid-Hudson Classical Guitar Society, and teaches both guitar and composition at Bard Conservatory, Preparatory Division, and at his home studio in Red Hook, NY. He has produced four recordings, which include an eclectic selection from the repertoire, as well as original arrangements and compositions. Of his second recording, “Night Dances: Music of Spain and Latin America,” Noah Fleisher of the Taconic Weekend states: “David is one of those rare musicians of any genre that is able to play directly what is coming from his head, without barrier between mind, finger and fretboard.” Learn more at his website,​ www.davidtemple.com.